Join us at this unique Sitar concert based on Nada Yoga tradition. Nada Yoga is a wonderful confluence of the science of Yoga and the art of Music. Nada Yoga explores the relationship between music and the Chakras, Zodiac signs as well as Mudras. Balancing the Chakras thru Nada Yoga can remove energy blockages, result in inner healing and deeper states of meditation. 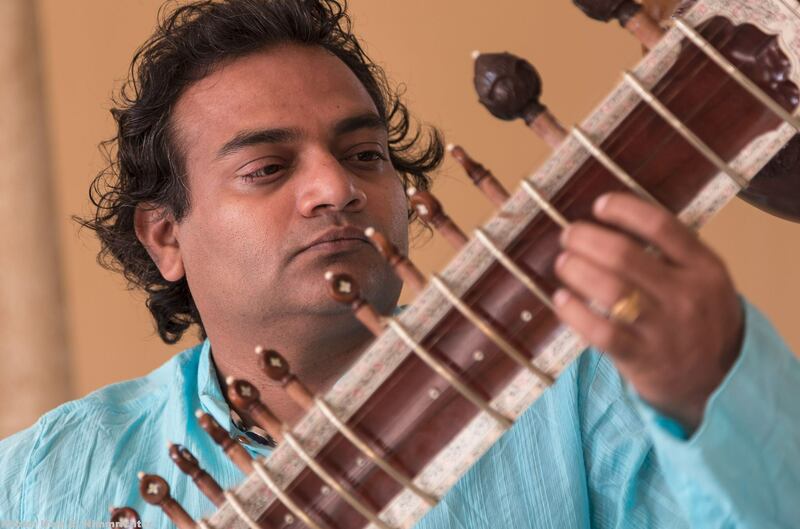 In this unique Sitar concert, Ram Vakkalanka will present the spiritual side of music and explain the relationship between music and the energy aspects of our mind-body system. Ram presents music from a unique perspective and its soothing quality truly enthralls the audience. In Ram’s hands, the musical notes become Mantras and create vibrant, energetic and peaceful ambiance. DasSitar Konzert Ticket ist ausverkauft. Sie können ein anderes Ticket oder ein anderes Datum ausprobieren.